^ 1.0 1.1 1.2 National Hurricane Center. 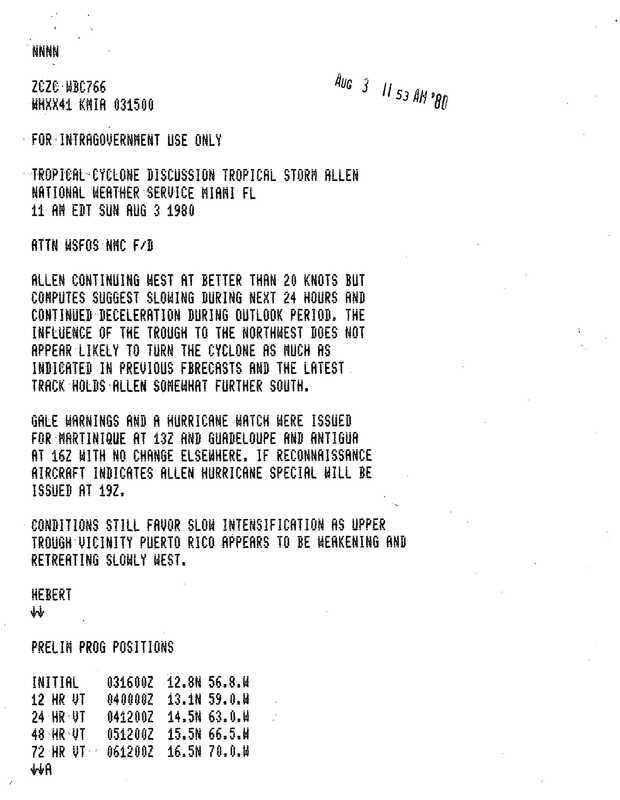 Hurricane Allen Tropical Cyclone Report Page 2. National Oceanic and Atmospheric Administration. 1980 [May 13, 2011]. ^ Gilbert Clark. Tropical Depression Advisory Number 1. National Hurricane Center. August 1, 1980 [May 13, 2011]. 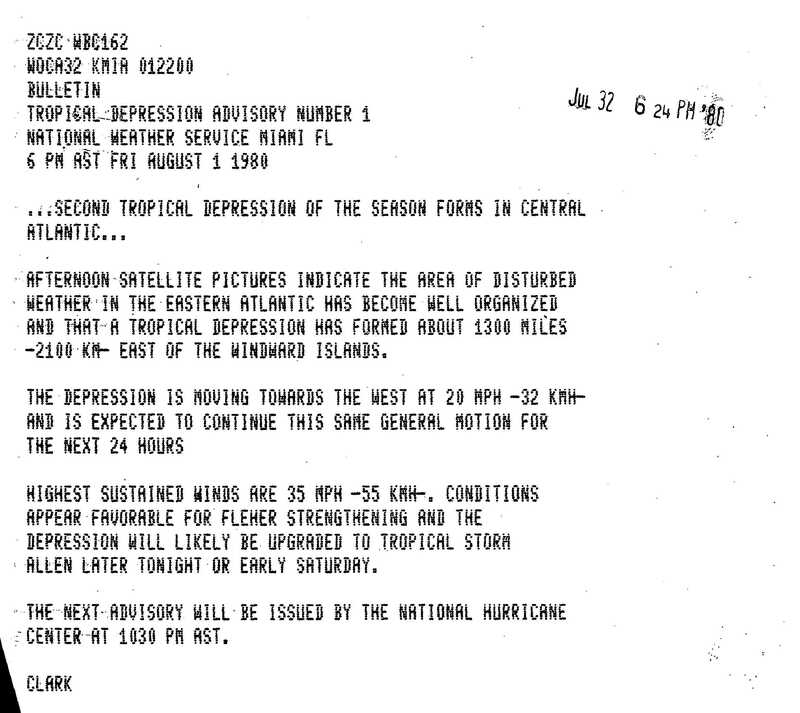 ^ Discussion for Tropical Storm Allen, 11 p.m. EDT, August 1, 1980. National Hurricane Center. August 2, 1980 [May 13, 2011]. ^ John Hope. 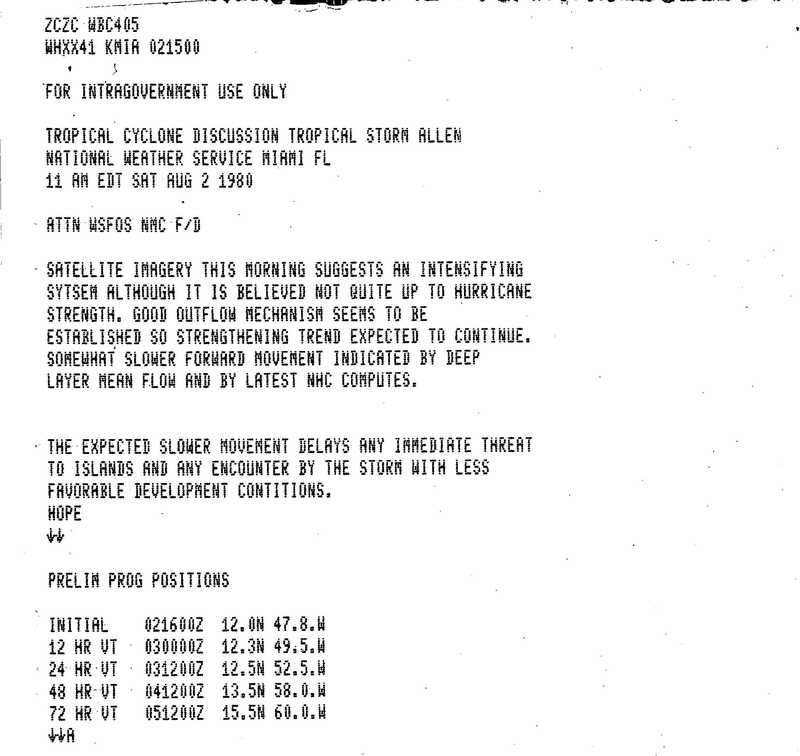 Discussion for Tropical Storm Allen, 11 a.m. EDT, August 2, 1980. National Hurricane Center. August 2, 1980 [May 13, 2011]. ^ Paul Hebert. 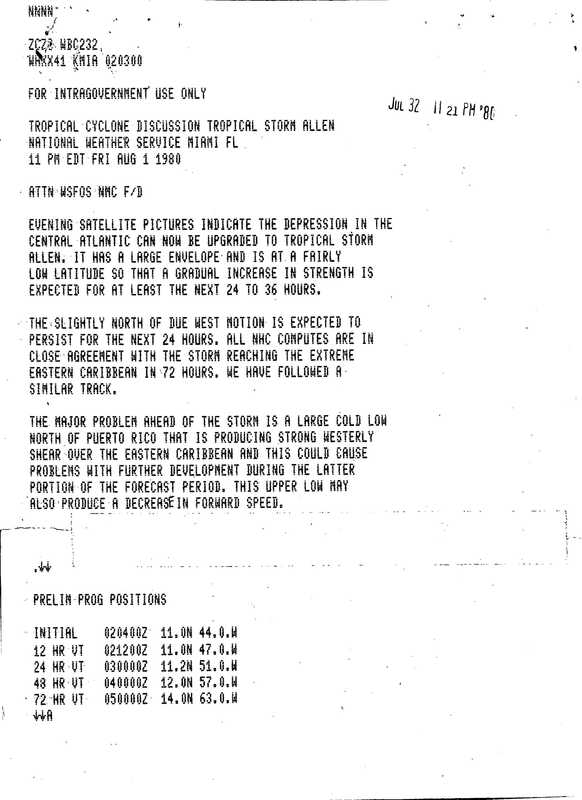 Discussion for Tropical Storm Allen, 11 a.m. EDT, August 3, 1980. National Hurricane Center. August 3, 1980 [May 13, 2011]. Marks, Frank D. Evolution of the Structure of Precipitation in Hurricane Allen (1980). Monthly Weather Review. 1985, 113 (6): 909–930. Bibcode:1985MWRv..113..909M. doi:10.1175/1520-0493(1985)113<0909:EOTSOP>2.0.CO;2.